Eighty per cent of the laws that protect the Welsh environment are tied to the EU and time is running out to replace them, nature groups have warned. They claimed wildlife and air and water quality could all be affected. One organisation - WWF Cymru - has written to Environment Minister Lesley Griffiths calling for "urgent action". The Welsh Government said it was developing proposals and would consult on them next month. But with less than 40 days to go until the UK is set to leave the EU, WWF Cymru's director Anne Meikle warned "the rug will be pulled out from our existing environmental protections". In her letter to the government she writes that "without these principles and governance structures in place, decisions will be significantly less robust and potentially indefensible". She said legislation would risk being inoperable and people would lose the right and mechanism to challenge government where they failed to apply environmental laws effectively. Currently Wales abides by hundreds of regulations and standards which apply across the EU to protect nature and guard against pollution. The UK and Scottish governments have already announced consultations on plans to replace these laws after Brexit. But in Wales, where control over environmental policies is devolved to the Welsh Government, ministers are yet to make an announcement. Ms Meikle said it was causing "extreme concern". WWF is one of 14 leading environment charities that have joined forces under the banner Greener UK to raise awareness of what they claim is a looming "Brexit gap" in protections for nature. Environmental consultant Llinos Price said the group felt the Welsh Government had had "plenty of time to think" and that arrangements would "definitely not be in place by Brexit day". As well as transferring EU rules into Welsh law she said ministers also needed to come up with a way for ordinary citizens to hold them to account for any breaches. Currently members of the public can complain to the EU Commission free of charge, who can decide to investigate on their behalf. The most recent example is a complaint by river groups over the Welsh Government's handling of agricultural pollution in rivers. 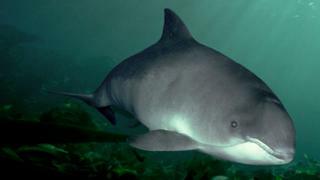 Over the years, rulings from Brussels have also forced action over emissions of toxic gases at Aberthaw coal-fired power station in the Vale of Glamorgan and the creation of a marine protection zone off west Wales to help the threatened harbour porpoise. In England, Environment Secretary Michael Gove announced proposals for a new independent body - known as the Office for Environmental Protection. But in a letter to the assembly's environment committee this week, Ms Griffiths said she felt the model set out by the UK government was not a "workable approach for Wales". She told the Senedd on Wednesday a consultation would take place next month. Plaid Cymru's environment spokesman Llyr Gruffydd said it was "quite shocking that we're yet to see any material proposals". "The UK government published its proposed legislation for England last year, yet all we have in Wales is a blank page," he said. "The minister promised a consultation last summer which was then kicked into the autumn and then into the New Year. We're now in February and we're still awaiting a consultation on options let alone getting ready to implement concrete proposals on how we can enforce the protection the Welsh environment might need in just six weeks time." Brexit: What needs to happen next in Wales? Andrew RT Davies, the Welsh Conservatives' environment spokesman, said the assembly would receive an "unprecedented number of powers" after Britain leaves the EU. "It's vital these powers are used proactively by the Labour-run Welsh Government to enhance the environment in Wales," he added. The Welsh Government said it was committed to ensuring environmental standards were met and enhanced after Brexit and that the "groundbreaking" Future Generations Act putting the environment at the heart of decision-making would remain in place. "Our approach, which is more aligned to that of the EU, means we are at a different starting point to the rest of the UK," said a spokesman. "We have committed to address any gaps in environmental governance at the first legislative opportunity and have been delivering the largest peacetime legislative programme to ensure functioning environmental legislation is in place on day one."